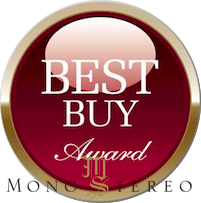 La cellule HANA SL: Double gagnante des mentions »Highly Recommended » et »Best Buy awards » par Mono and Stereo. Cartridges are like little music boxes with somehow highly refined mechanical innards. We’ll some watch enthusiasts might argue the Haute Horlogerie analogy… Still, as watch heart is highly dependent on the mechanical parts and engineering, so is the cartridge. Those of us who were sort of lucky to grew up with these micro music machines went through a long path of discovery. There is a vast analog universe waiting to be explored with intriguing and legendary cartridge offerings from the past and multiple contemporary contenders in all of the price ranges. 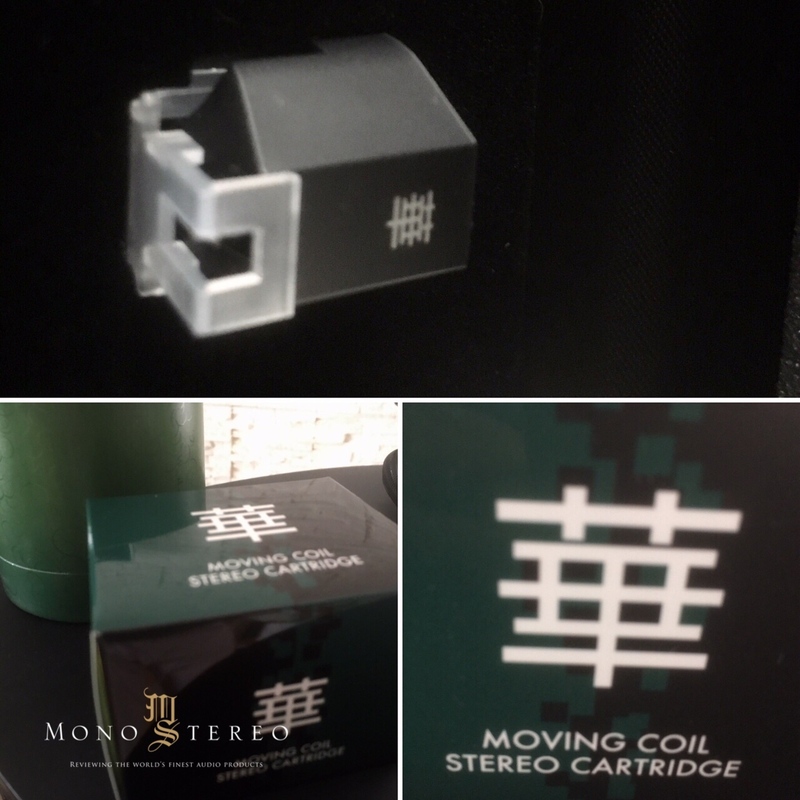 Japanese culture holds a strong heritage when it comes to the high-end audio cartridges and when it comes to the material selection and the execution it’s hard to argue. I’m sure anyone heard about the iconic Koetsu, Kondo Audio Note Japan IO-M etc. The list goes on, but the rich history is quite remarkable. In the era of the analog revival, the cartridge abundance is surely welcoming. Yes, not every cartridge is of the best value or virtues. 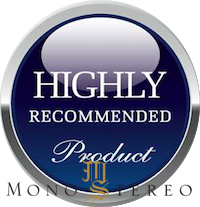 As with the rest of the high-end audio products, one has to be careful, selective and do the homework before jumping ahead with a purchase. With the rest of the audio products, it’s more or less easy to arrange for the demo audition. With something as fragile and of limited lifespan as a cartridge, it’s very hard if not impossible to actually try it. Not many distributors or dealers are ready to loan them for an evaluation, which is reasonable of course. That’s why it’s crucial for the analog enthusiasts to acquire as much as possible objective information a as well as radar on the existing hands-on experiences before pulling the trigger. And… This is where the internet, as well as reviewers’ and owners’ observations, become more than just a valuable asset. 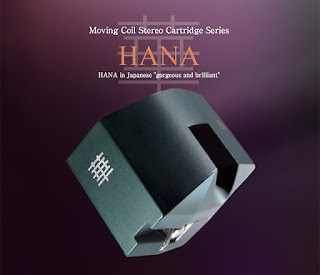 I’ve been asked repeatedly by many of you to explore the world of HANA cartridges. Some of you wanted to learn about its value as the main cartridge, some as the second one and few wanted to know about its value as a backup cartridge. Yes, these days cartridges can cost a lot of money and it more, than reasonable to act wisely when it comes to the purchasing of one of these analog micro wonders. I’ve contacted the Youtek Limited and to my most positive surprise, I’ve got a reply from Hiroshi Ishihara. I’ve had a pleasure of meeting and working with Hiroshi-san in the past. We’ve exchanged few emails and schedule for the review sample. And a good week later the cartridge arrived. What are the secrets? First, Excel Sound produces all the major parts used in Hana MC cartridges itself, from materials like aluminum for the cantilever, Alnico for the electro-motive power magnet, pure iron for the magnetic circuit and 4N copper wire for MC wiring. The electrical sub-assembly is then packaged in an ABS plastic body. So you see, of the constituent materials are not rare or expensive, but designed and manufactured correctly, they can produce cartridges with a very excellent sound for a reasonable price – a rare end product indeed. Specialized tooling is another weapon that improves the price/quality performance, so manufactured parts are consistently perfect, repeatable parts for production, parts designed for maximum performance assuring the highest level of performance. Lastly, perhaps the most essential ‘secret’ is the hand assembling by skilled artisans. Excel Sound craftsmen hand assemble all the parts into a perfect finished product, producing a consistent “Brilliant and Gorgeous” Hana sound. 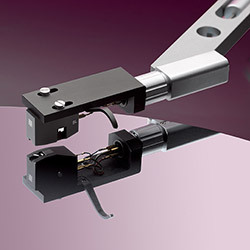 Without this precise hand assembling and the fine-tuning work by Excel Sound’s renown craftsmen, with their accumulation of 50 years of cartridge production expertise, the Hana products would not sound so consistently fine and delicate. Rare or exotic materials and extreme design is not enough to make a fine MC cartridge but might make an expensive one. As with all the cartridges HANA SL needed some time to break in. I’ve counted 30 plus hours for the initial break-in. After this, the sound started slowly to settle in and everything coming to a stable performance. Manufacturer recommends VTF (Vertical Tracking Fotracking be set at 2g. I’ve tried to vary it a bit but returned to the initial point after few listening. I’m usually pulling out my precious black vinyl discs only for the selected/premium cartridges, but HANA SL was so promising even with the first few tracks, that inspired me to explore my beloved selection. As written quite a few times over the years I’ll probably never get bored with Counting Crows – August And Everything After. Chad Kassem’s Analogue Productions 45rpm (AAPP 24528-45) vinyl is something to behold and cherish. This all analog record album falls under the label of my desert discs for many of the reasons. Almost poignant energy and the mood is accompanied with the same potency of music’s intake. The whole package comes as timeless intake of a grand melancholic pill. HANA SL quickly revealed its strengths. There is something about drums, guitars and vocals recorded fully in the analog domain. And when reproduced properly the experience is even more potent. HANA SL created a continuous deliverance of highly octane melancholy without losing the analog essential attributes in translation! 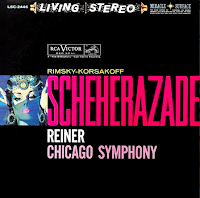 The Rimsky-Korsakoff / Fritz Reiner / Chicago Symphony Orchestra ‎– Scheherazade (RCA Victor Red Seal ‎– LSC-2446) needs no introduction. It’s could be called sort of a standard reviewer hands-on album. Yet… it’s way beyond a tool of the trade. It’s a fantastic composition, that inspires each and every listening. 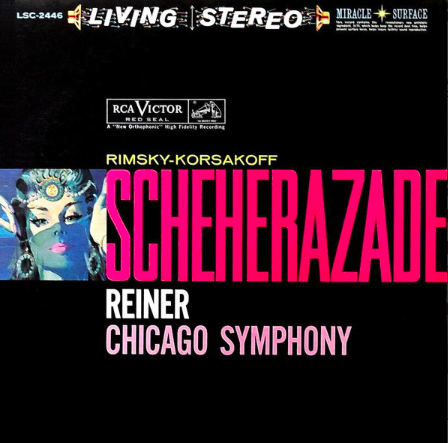 There’s is no hide and seek with Scheherazade when it comes to the full-scale orchestra challenge. 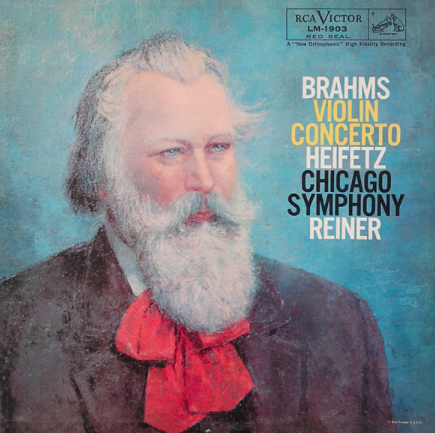 It’s not exactly a picnic for any cartridge to render the scale of the full-featured orchestra as it’s not easy to portray the minute dynamic shifts. HANA SL had somehow embraced the role of a giant rather than acting modestly. I liked and loved much much of the music’s energy it was conveyed. The Mussorgsky/Stokowski London Symphony Orchestra / Night On Bald Mountain will also challenge any cartridge in a similar fashion. HANA SL boldly stood the dynamic challenge and managed to render dynamic torrents with control and quite surprising authority. With Igor Stravinsky – Song of Nightingale the subtle nature of orchestra calls for a certain level of the cartridge wholesome ability and the level of density, that is usually not even remotely attached to the Hana SL price range. We’re talking about the subtleties of the very upper echelon. More than surprisingly HANA SL had exhibited a remarkable level of information. HANA SL certainly is an ear-opener. There is something in about Stravinsky compositions, that strives for control, power and delicacy. Especially in full analog domain, the very need of holistic sonic delivery is mandatory. The sheer drama needs to be deciphered with all of its twists. HANA SL has again shown of being worthy of its own and elevated pedestal. For the harmonic balance, one of my favorite black discs is without much second-guessing Michael Franks – Tiger In The Rain. The titled track beholds one of the most vibrant vibraphone solos. I’ve heard this album and track numerous times and it always captures my attention as well as trigger the inner mechanisms of pure musical enjoyment. For me, this experience goes way beyond the entertainment impact. Tiger In The Rain is much more complex than the first audition might suggest. Don’t be fooled. Michael had always managed to surround himself with top musicians and jazz connoisseurs will easily recognize the real “value”. Notes layering, that creates such pleasing harmony were easily spotted without masking, that is almost mandatory at this price point. One of the hardest things for any cartridge below $1000 is to convey both solitude note standings as well as harmony layering. To my surprise, HANA SL nails it, without stepping into the hissing domain. Quite remarkable! This was furthermore revealed with Brahms, Heifetz, Reiner, Chicago Symphony Orchestra ‎– Violin Concerto In D, Op. 77. Both violin and orchestra have their own clear physical momentum and standing in time and space. Still, they need to work in tandem without losing their clear atmospheric identity. The proper amount of focus and anchor points will determine the cartridge quality and its ability to recreate the believable dynamic scale, harmonics, acoustical cues etc. HANA SL had mirrored the Heifetz/Reiner with sensation, power and most importantly with the higher grade of believability, that even some top-tier cartridges can struggle. Potent and high quality high-end audio cartridges used to be closely connected with the high price tag. Well, not any more… That’s sort of the yesterday’s news :). One of the 21st century’s benefits is certainly the ability to produce quality products at much larger quantities and lower prices. Yes, the industrial revolution had expanded its wings the long time ago and its morphed into the globalization phenomena. We can all instantly pin down a dozen negatives, but as always there are two sides of each story. The positive and negative paraphernalia. So, on the good note within the vastness of mediocrity, we can also discover many of the products that truly stand out. It’s quite inspiring how much performance I’ve managed to squeeze out this micro Japanese analog gem. 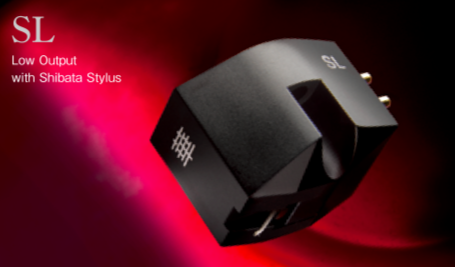 I’ve tried SL cartridge with multiple phono preamplifiers. From Gold Note PH 10, Thrax Audio Orpheus, Dynamic Sound Associates DSA The Phono II to Grandinote Celio phono. Quite a choice to make tour de force! All except Thrax phono have precise loading option and I’ve found a happy match around 400 ohms. 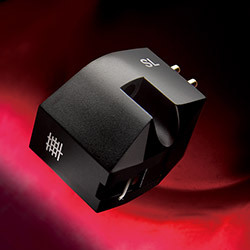 The HANA SL cartridge brought balanced, involving sweet and seductive performance and the impact that lasted across the various genres of music with a really low level of noise. I certainly didn’t expect such a quietness from the cartridge of this price sticker. It’s true that HANA SL won’t reveal the “submarine” depths like some of the top tiers, but it was really not that far behind as one might assume. Good specs deliver good sound right!? Well HANA SL is certainly the proof of this. Properly expected channel balance delivers greatly expanded soundstage and dense, relief-like structure. While 0.5mV output is quite high it is understandable at its given price tag. HANA SL offered a well-balanced presentation, that was always embraced by the warmness, encapsulated within the virtual “analog” bubble. HANA SL is not the last word in pellucidness, but this might be one of the most important virtues of SL’s forte qualities as it always delivered rounded and highly involving performance. As a fact, there are way too many cartridges on the market performing poorly at the utter price tag as well as poorly build cartridges at the entry-level pricing scheme. It was more than just inspiring witnessing the HANA SL perform so well during the evaluation time and at this level of quality execution. HANA SL cartridge offers a grand portion of high-end audio performance at the price point, that was unimaginable in the past. For what it represents sonically and especially at what price I’m wholeheartedly giving out Mono and Stereo Highly Recommended and Best Buy awards. Lien du texte original: cliquez ici. ← NewerEn primeur, le nouveau DAC Pro iDSD de iFi.